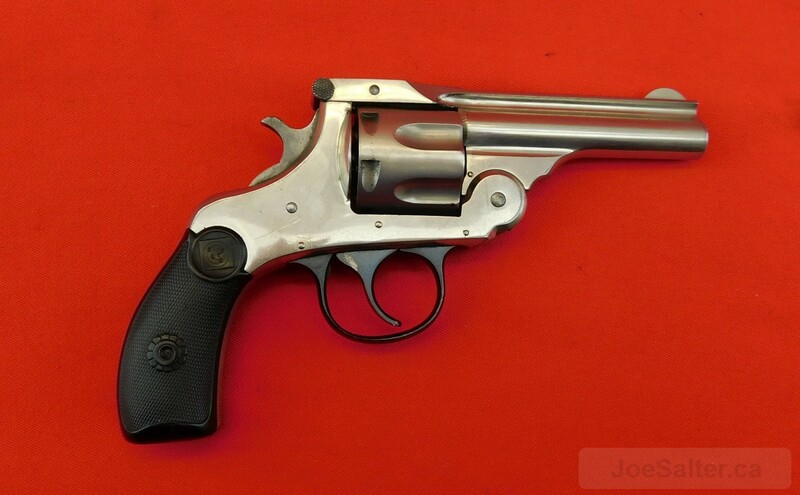 This is a Harrington Richardson Top Break revolver chambered in 32 S&W. Barrel is 3 1/4" with a mostly very good bright and strong bore with a few pits on the top. Metal surfaces are nickeled and blued. 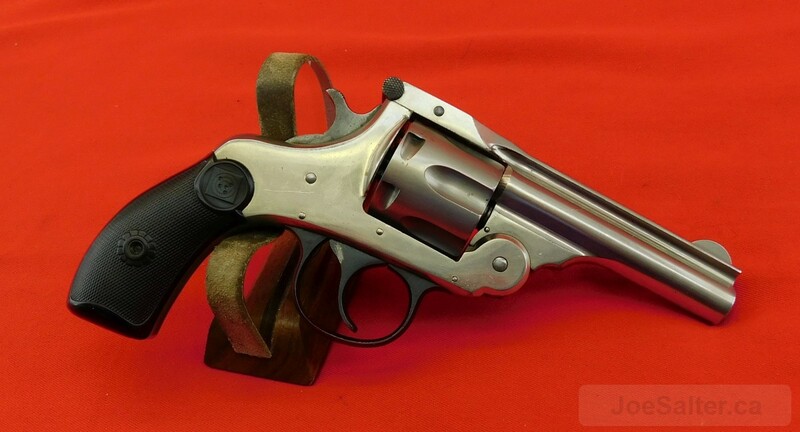 The triggerguard, hammer and trigger retain about 90% blued finish while the balance of the revolver is nickel finished and retains about 95% coverage with some light pits on the muzzle end of the cylinder. 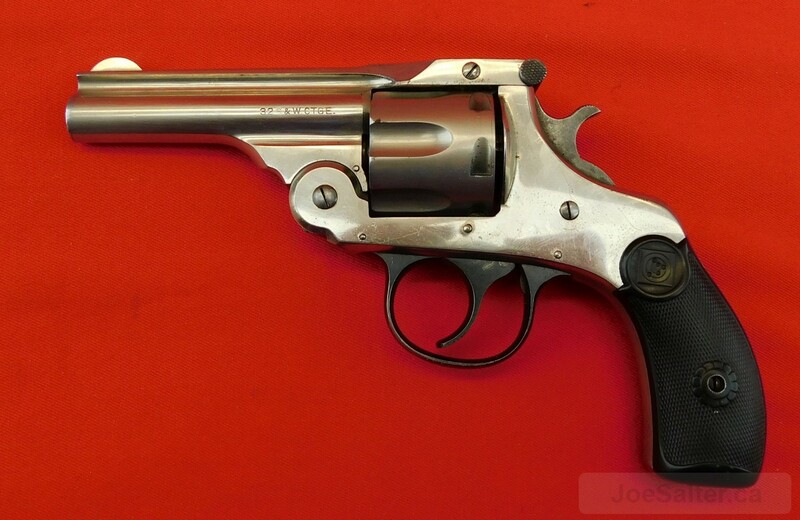 H&R hard rubber grips are in very good condition.